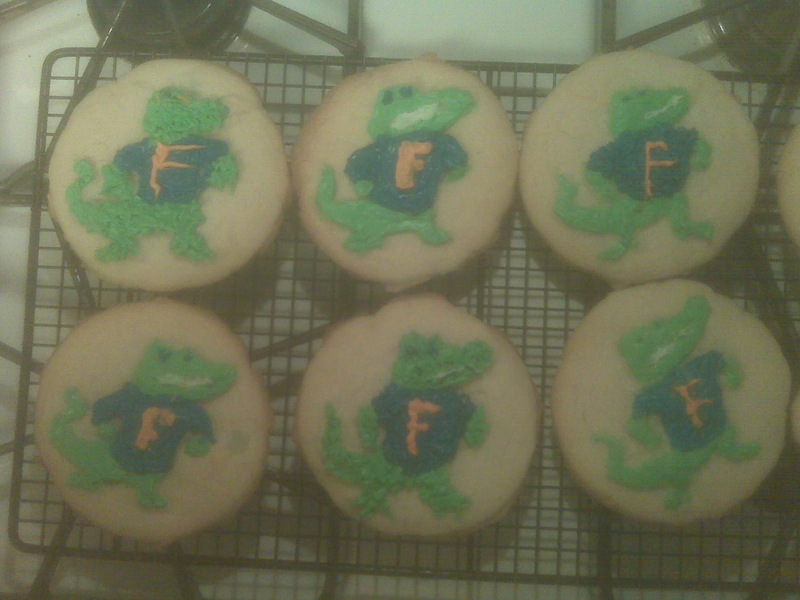 Check out these delicious Gator Cookies by Deb and Tony. We were invited over to watch their football alma mater play in a bowl game. A new talent of discovered – the gift of baking Florida Gator cookies, beautifully and fanatically decorated using toothpicks, white, blue and orange pastry tubes. Check out the lovely free-hand Gators. 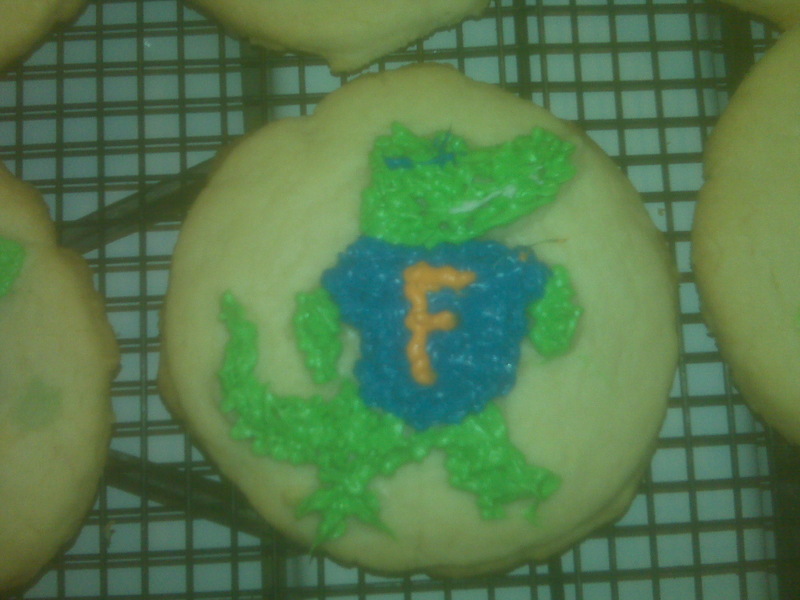 Alton Brown of the Food Network was the source of their recipe and the sugar cookies for the Sugar Bowl were delicious. Here is an equally nice recipe by Marilyn Southard. Preheat oven to 350 degrees. Cream butter, egg, cream cheese and vanilla till fluffy. Add sugars and flour. Roll out and cut as needed into shapes… I love to cut this into squares to serve guests when they come for tea. Bake 11-13 minutes. Today is January 1st and the house is very quiet. I’m not scheduled to work until noon at the store where I am always impressed by the customers. They are always polite, kind and thankful, characteristic of the culture of kindness we have found here in Texas. I have been contemplating past years, and started my reading through the Bible in a year plan again, simply enjoying a celebration of the Savior of the world. He spoke to me through Genesis 1 and 2, Psalm 1, and finally the Message version of Matthew. Last year was the fastest year of my life though it was the year I focused most on slowing down. We have now been in Texas exactly one year and to sum up a snapshot of the culture here, we all agree in the Southard family, people here are “Texas friendly.” That’s not a put down of the many other very friendly places we have lived, but a compliment to the exceptional culture of respect found here. Our daughter now says “Sir” and “Maam”…she picked it up in public school! One of the kindest people I know is my daughter. She lovingly cooks and prepares meals when I am not home, and sometimes even when I’m here. 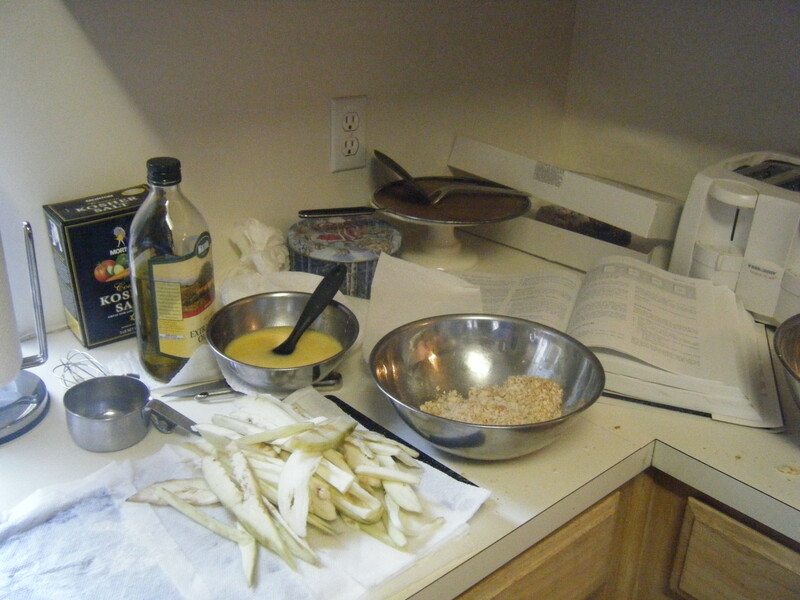 The photo is her preparation of Egg Plant Parmesan.